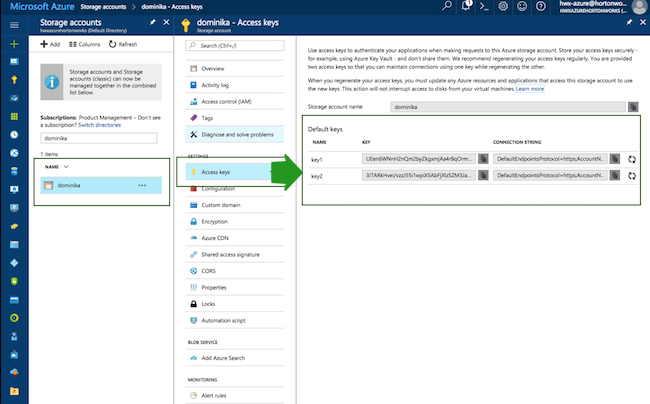 In order to access data stored in your Azure blob storage account, you must obtain your access key from your storage account settings, and then provide the storage account name and its corresponding access key when creating a cluster. Select Use existing WASB storage. Provide the Storage Account Name and Access Key parameters obtained in the previous step. Once your cluster is in the running state, you will be able to access ADLS from the cluster nodes.